Fidelity Homes Inc, a registered Tarion Builder has opened pre-sales to the public and are now taking reservation deposits on new homes in Cramahe’s largest ever residential development project, known as Foxtail Ridge. Foxtail Ridge is the newest community coming to Colborne, Ontario. Visit our website to register for exciting updates and receive updates, news and information about Foxtail Ridge directly to your inbox! Foxtail Ridge Phase 1 will consist of 36 detached homes with six different bungalow options to choose from ranging in size from 1250 – 1900 sf, as well as four two-story options ranging from 1800 – 2700sf. With pricing starting in the low to mid $400s, these “prairie-contemporary” styled designs will offer options and layouts to suit a wide range of buyers’ needs. House construction on Phase 1 is anticipated for Spring 2019, with occupancy slated for mid-late 2019. While the Model Home and Sales Centre is being constructed on “Lot 4” Durham Street South, Fidelity’s realtors, The Kim & Sam Team, will facilitate pre-sales & reservation deposits from the Foxtail Ridge Preview Office at 18 King Street East in Downtown Colborne. 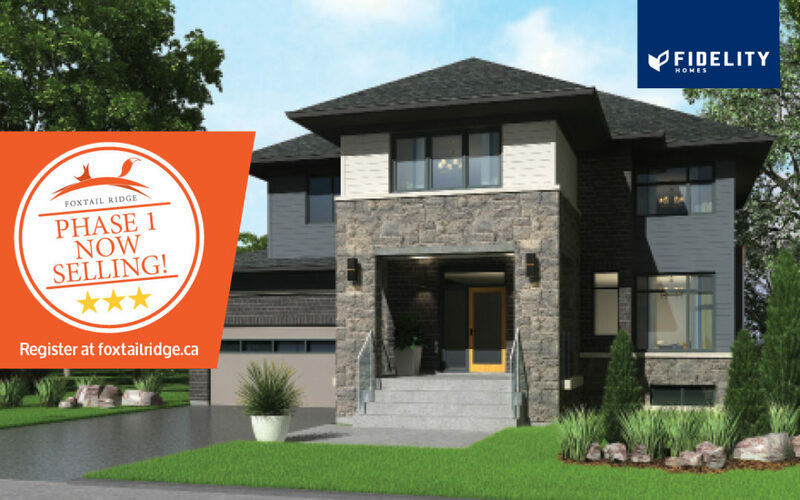 Home designs, concepts, interior and exterior plans and pricing is now available on MLS, and at www.foxtailridge.ca. For more information, please contact The Kim & Sam Team at sales@foxtailridge.ca or 905-355-5500. Do you still have the 5000.00 free upgrades offer available to a first time home buyer or is it over. My son is interested in a house with double car garage and wants to know costs of upgrades in flooring, tile, cold storage and fireplace. Thank you.